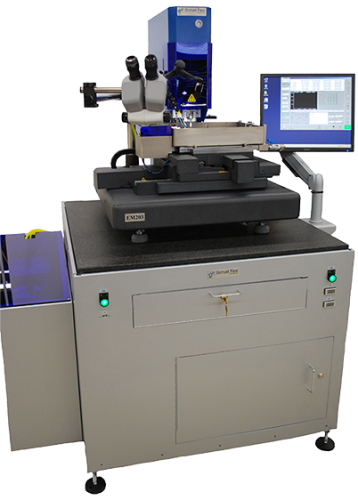 Our EM203 Multi-Process Micro Machine and GM703 Nano-Motion Micro-EDM machines are crafted in the USA with the highest degree of accuracy. To receive more information about the specifications of these machines, please click here. When you are looking for flexibility and function, the EM203 Multi-Process Micro Machine is what you need. This machine is production tested and ready to manufacture micro parts and features. The many standard features include an electrode dressing station, full 3-D contouring software, Mandrel and electrodes, dielectric filtration and flushing system and many more. The machine is equipped with a base providing vibration isolation. The EM203 is you first choice in micro EDM manufacturing and will provide many years of service free operation. Take the next step in precision and take a look at another example of SmalTec innovation, the GM703, has been specifically designed for micro-molding and nano-grinding, with a special focus on optical molding. 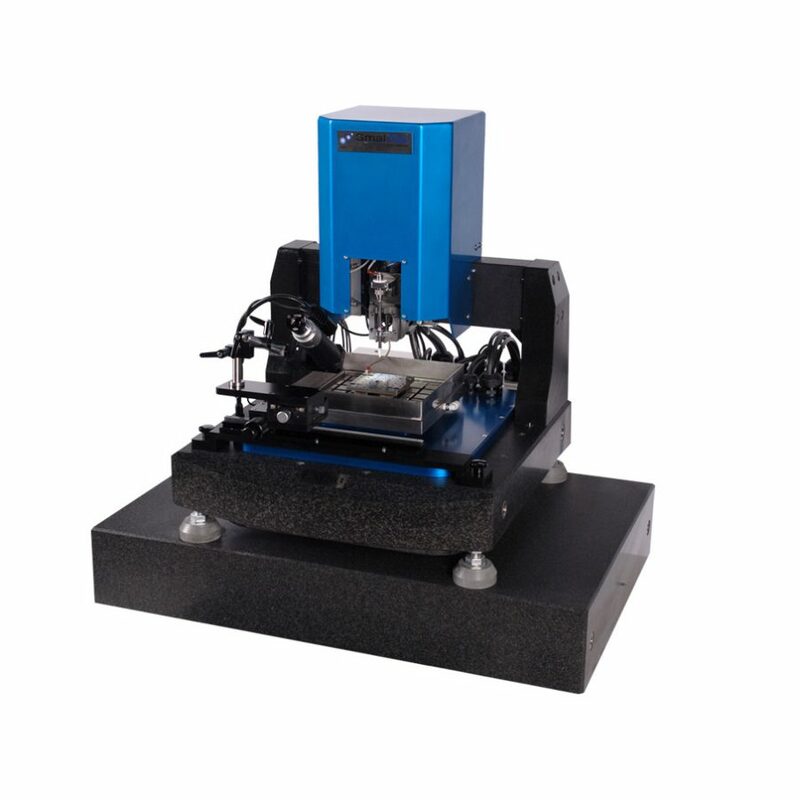 This ultra high-precision machine couples 3D nano-motion with the smallest spark in the industry – 0.3µm at a high-speed frequency for 5ns – to achieve the most complex geometries at the smallest sizes. The GM703 re-defines precision micro-machining with a 10nm step resolution and super small spark control, allowing it to achieve 3µm diameter holes with aspect ratios of 5:1 (depth:diameter).